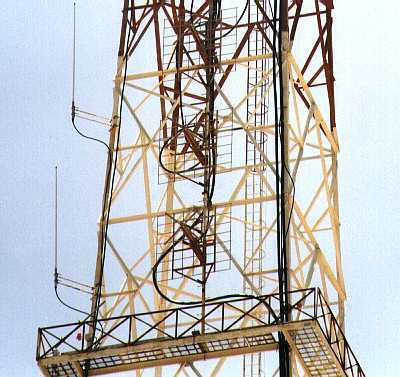 directional gain of 12, with the main lobe pointed north at San Diego. Another side view, this showing more of the panel details. A view from the front of the three bottom panels. The XHLNC operation began in February of 2000. 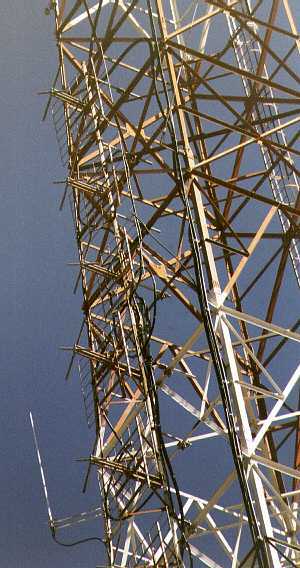 From the very first day of broadcasting, XHLNC has caused interference to KPFK in Los Angeles. It also violates the United States-Mexico Treaty of 1992 because it is located too close to KGB-FM in San Diego. The treaty makes clear the mileage separations between stations, and XHLNC was built at a location too close to the US border, and at an excessive height (over 400 feet higher than licensed). 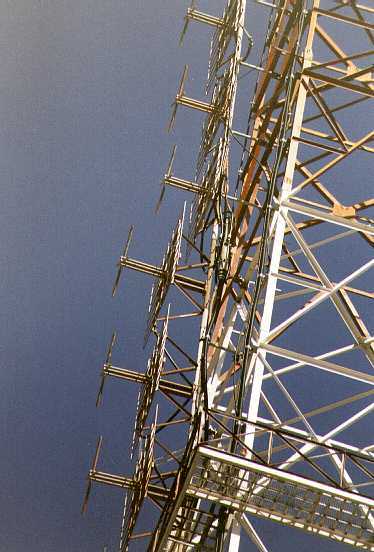 This would have been enough to violate the treaty, but the station also employs a highly directional antenna, which focuses the radio signal towards San Diego and Los Angeles, and amplifies the signal to well over 20 times the legal limit. Victor Diaz, who is the owner of XHLNC is very fond of directional antennas and the revenue that the San Diego market provides for his radio empire. It's obvious that he does not care for International treaties.